Author's handmade vase, made in ancient technique, the shape of the vase is unique and unrepeatable, the vase has created itself layer by layer, with my help. This vase will decorate and complement every interior. Author's ceramic flower vase "Bagful", handmade. The decorative vase is painted in several layers with different colors, which are then disclosed for decorative attritions. Exclusive vase - candlestick - for decorating the interior, creating a mood and the right atmosphere. Height - 12 cm, color - gray-blue. Ceramic handmade vase, author's work - a variation on the theme of coral reefs. It is made in contrasting bright colors. An unusual, bright interior vase. And it's original shape will help make up unique compositions of fresh flowers. Vase of unusual shape, with a small sculpted lizard, covered with glaze. Vase Can be an independent addition to the interior and looks wonderful with flowers. Ceramic interior vase of unusual shape "Bagful". Handmade vase. Decorative desktop vase for flowers - it will decorates and transforms the house, will create mood. It is not just a vase, but a vase-candlestick, two in one. It wonderful fit for the decor of a cafe, restaurant. The vase is covered with author's glaze of deep emerald color, which has inimitable color game with a turquoise tint. Height - 12 cm, color - deep emerald. Author's hand-molded vase of unusual shape "Bagful ". Ceramic vase for flowers - a wonderful interior decor. Vase with multilayer staining and with the effect of fraying. Height - 17 cm, color - gray. 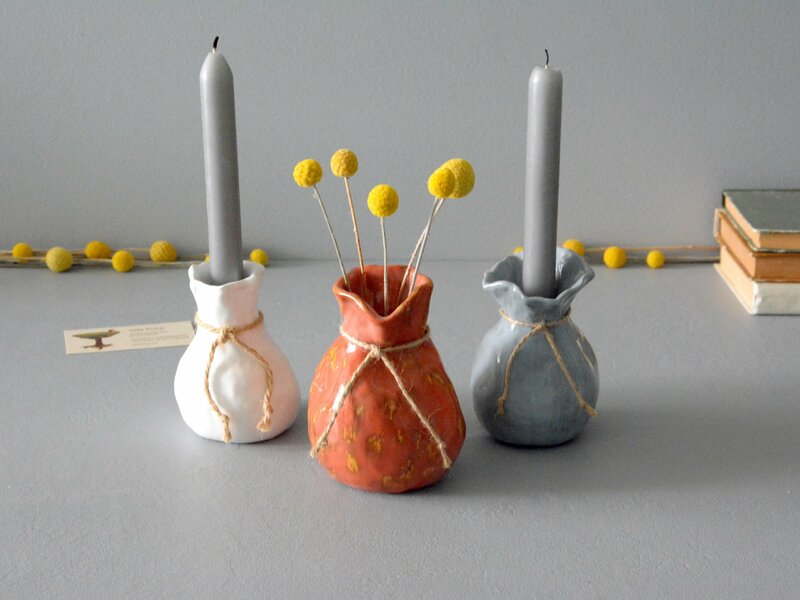 Ceramic vase - candlestick "Bagful". 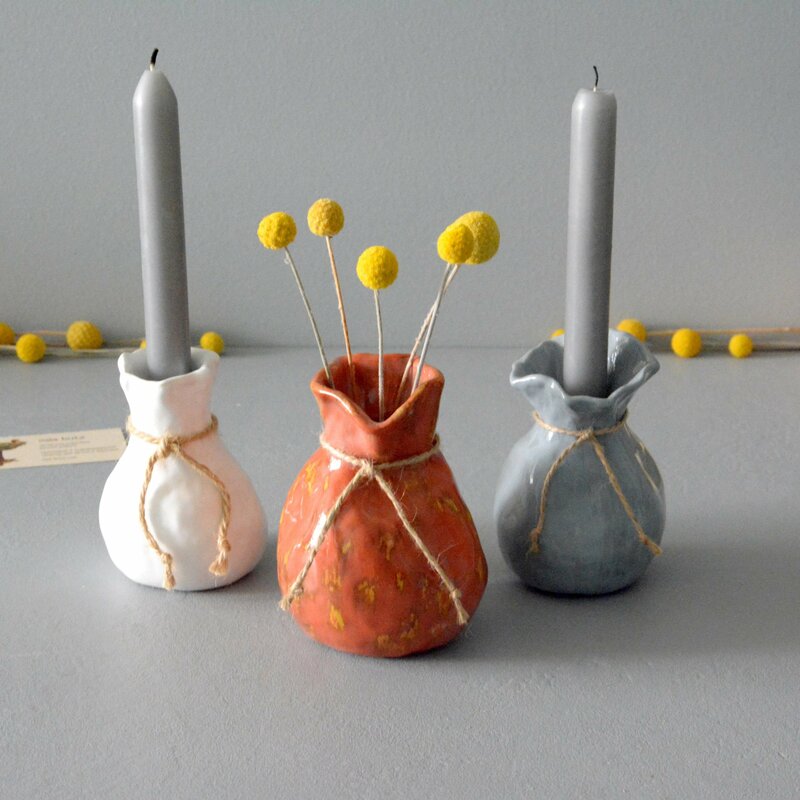 Handmade vase - decorative and practical. Vase to decorate the interior and create a mood. 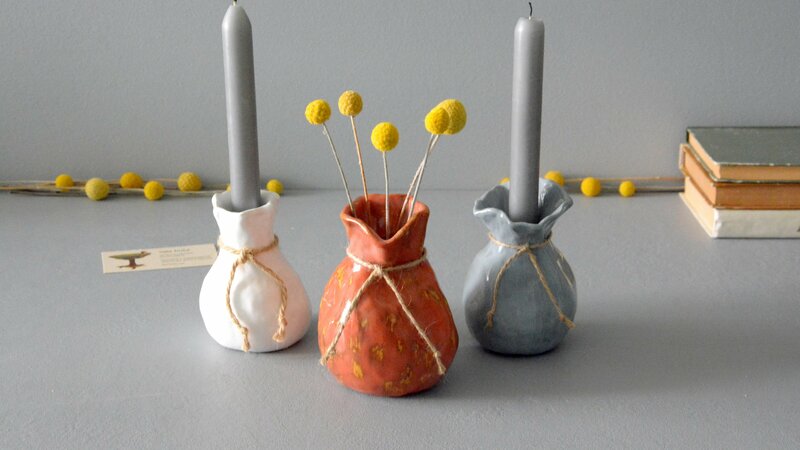 It is beautiful in all its forms: with a flower arrangement, with a candle and in itself.